Bio: Dr. Gary Epler is an internationally-known Harvard Medical School professor and thought leader on health, peak performance, and positive leadership. He is an award-wining author and has impacted the lives of people throughout the world through his speaking engagements, books, and teaching. He has been called upon by individuals from around the globe who have a rare lung disease that he discovered. He has been a successful entrepreneur and CEO of his company. 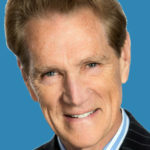 He is a sought-after speaker addressing audiences about health, fitness, happiness, and productivity at the workplace.